Kris Henderson and I spent 5 days climbing and exploring Southern Thailand. We flew into Phuket and then took a ferry to Tonsai Beach where we stayed in little cabins with running (but cold) water. 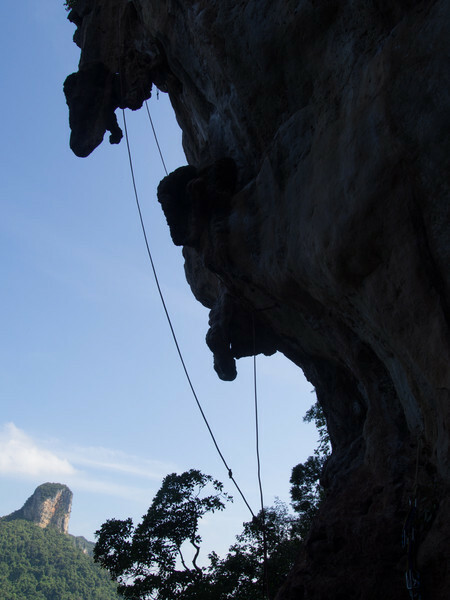 The rock climbing on limestone is other worldly - often requiring stemming moves to stalagmites hanging behind you. The Thai people are awesome, the food is the best and the rock climbing is world class.